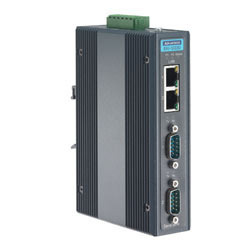 We are the supplier and exporter of Industrial Communication products providing a full range of industrial data acquisition (DAQ) and control products which are widely used in industrial and laboratory applications such as: monitoring, motion control, data acquisition, and automated testing. 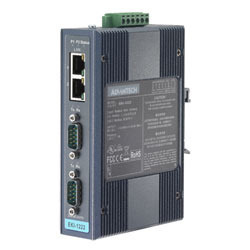 There are five major categories - PC/104, PCI-bus, ISA-bus, USB-based, and CompactPCI modules including USB modules, PC/104 modules, ISA cards, IO drivers, signal conditioning modules, terminal boards and CompactPCI system. With rich wiring terminals and extensive software support, Advantech provides reliable, efficient, and cost-saving industrial solutions. Moreover, Advantech's DAQ products could simply be bundled with versatile industrial PC chassis, backplanes, CPU modules, flat panel monitors and embedded automation computers. We are a prominent name, which is engaged in delivering an unmatched range of White Multi-mode Fiber Optic to RS-232/422/485 Converter. 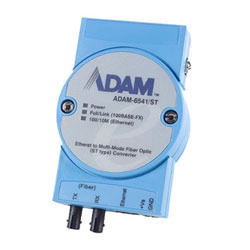 Known for being utilized as a RS-232/422/485 point-to-point or point-to-multi point connection, the offered range is ideally utilized for transmitting and transforming full/half-duplex signals with their equivalents within a fiber optic atmosphere. Transmission medium where it is necessary to render protection from electrical exposure, lightning, atmospheric conditions or chemical corrosion, fiber optics is ideally utilized. Owing to the immense experience and a competent team of experts, we are able to offer ADAM-4520/4522 to respectable clients. 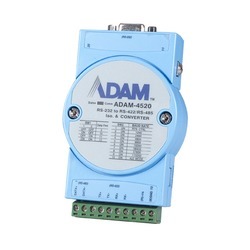 These media converters is available with RS-232 serial ports and possess limited transmission speed, range, and networking capabilities. 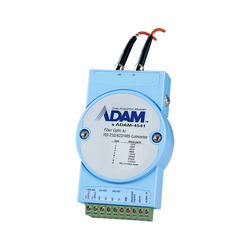 In addition to this, the offered range is known for utilizing differential voltage lines for data and control signal. 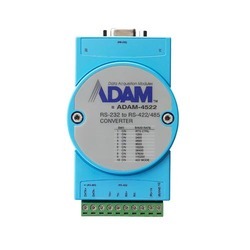 This range is known for transforming RS-232 signals into isolated RS-422 or RS-485 signals. These products ensure easy construction of industrial grade, long distance communication system and standard PC hardware. 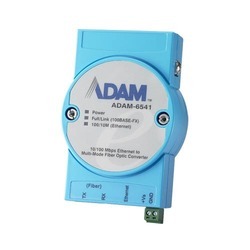 This range is known for extending communication distance by 4000 ft. (1200 m) and incrementing the maximum number of connected nodes by 32. 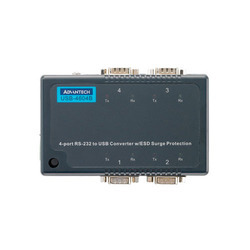 We have gained immense expertise in delivering 4-Port Serial To USB Converter With ESD Surge Protection to our clients. The offered range is known for connecting a serial device to a system, which utilizes a USB interface. 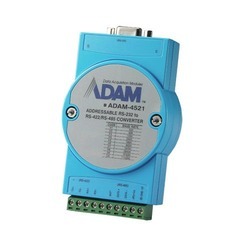 With the aid of high-speed RS-232/422/485 ports, the USB-4604B/4604BM is simply attached to PC. The offered range is ideal for modems, printers, POS systems and industrial control devices, owing to the absence of power adapters in it. We are a prominent name, which is engaged in delivering an unmatched range of EKI-1522 Device Servers. 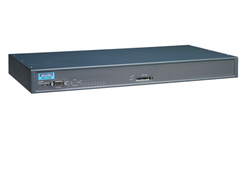 The offered range is known for its two independent Ethernet ports and MAC addresses. For rendering redundant mechanism, we use Ethernet reliable networking. 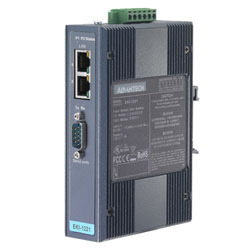 These products are known for enabling any device with serial ports to connect and share an Ethernet network. The offered range is appreciated for providing operations such as COM port redirection (virtual COM port), TCP server, IP Client and UDP mod. 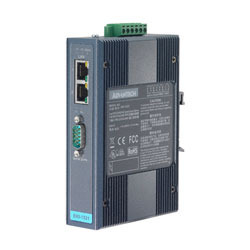 Available with COM port redirection mode, the standard serial operation calls are transparently directed towards EKI-1521 and EKI-1522. Being compatible with legacy serial devices, the offered range allows backward working with existing software. For ensuring that compatibility of network software uses a standard network API, we utilize TCP server, TCP client and UDP modes. With no requirement of intermediate host PCs and software programming, the offered range can communicate with other devices peer-to-peer. In order to cater to the diverse requirements of honorable clients, we are able to offer EKI-1352 Wireless Serial Device Servers. 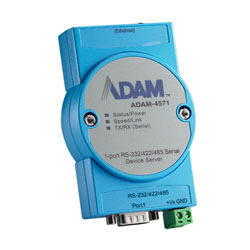 Along with this, the offered range of wireless serial device servers brings RS-232/422/485 to wireless Ethernet. 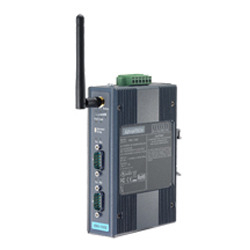 This device is quite relevant for connecting and sharing an wireless Ethernet network via any device with serial ports. The offered range is appreciated for its remote management and data accessibility. Owing to the immense experience and a competent team of experts, we are able to offer EKI-1524 Device Servers to respectable clients. 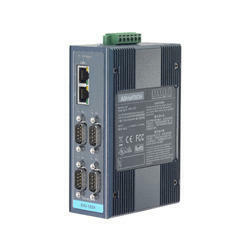 These products are known for rendering redundant networking mechanism further ensuring Ethernet networking reliability. 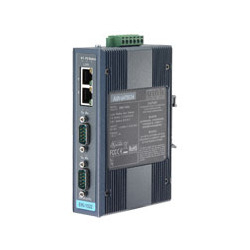 Featuring Ethernet ports and MAC addresses, the offered range of network-based, serial device server is ideal for connecting four RS-232/422/485 devices, such as CNCs, PLCs, scales, and scanners, directly to a TCP/IP network. 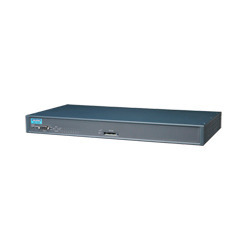 These devices are connected via EKI-1524 device server and are known for sending and receiving data like any other devices. Appreciated for rendering several operations such as COM port redirection (virtual COM port), TCP server client and UDP mode, the offered range is know for its compatibility with serial tunneling, which enables two native serial devices to send & receive data over a network. Standard serial operating calls are redirected to the EKI- series device server that ensure appropriate compatibility with legacy serial devices. Also, this ensures properly allowing the backward compatibility with existing software post advantech redirection software installation.